Is your electric bill increasing without more usage? The answer may lie with a clogged HVAC filter. The United States Department of Energy (DoE) estimates that clean air filters reduce energy consumption by 15 percent. Despite its substantial impact, many homeowners forget to routinely replace them. In addition to energy costs, there are other negative consequences as well. Dirty air filters also cause an undue burden on the HVAC system leading to a shorter operating life. Read on to learn other reasons why you should change air filters in your HVAC system. The average lifespan on an HVAC system is 15 years. The projected durability assumes that the homeowner performs scheduled maintenance. In order to max out your HVAC’s service life, this means you must follow the manufacturer’s recommendations for maintenance. 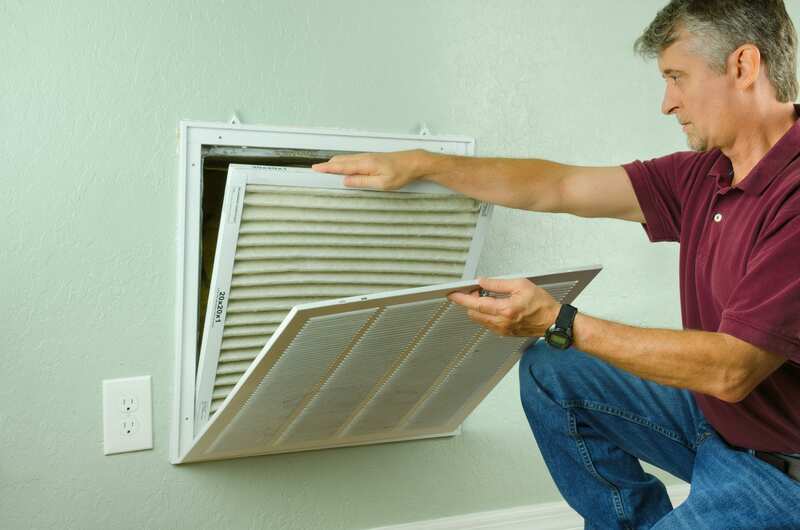 One maintenance task is to swap out air filters every 30 to 90 days. By failing to do so, the HVAC unit will naturally have a shorter lifespan. Roughly speaking, this increased usage can equate to the HVAC unit failing 2 years earlier than anticipated. Ultimately, this will cost you thousands of dollars to replace the failed unit. As mentioned in the intro, clogged air filters increase energy consumption by up to 15 percent. If the HVAC is constantly consuming power, then the electricity bill is racking up. A common indicator of a clogged air filter is hearing the unit cycle on and off repeatedly. Powering the unit on and off is also drawing electricity. Your electricity bill is entirely dependent on the amount of power that you utilize. You should see cost savings on the next electricity bill after replacing a clogged air filter. According to DoE studies, the monthly bill reduces 5 to 15 percent after an air filter swap. A suitable air filter costs less than $20 and lasts for for a month or more. With 5 to 15 percent annual savings, purchasing a new filter has a strong return on investment. Filters are not installed only for efficiency reasons. In addition, filters prevent harmful airborne contaminants from circulating in your home. Air filters catch contaminants such as pollen, dust mites, and mold spores. By using a clogged filter, the air filter is no longer serving this purpose. This means that your family is breathing in these harmful items. You may notice your children coughing and sneezing more than normal with a clogged air filter. This is especially true during periods where seasonal allergy levels are high. Plus, your house will be noticeably dirtier without a clean air filter. Air filters block dirt and dust from circulating in your house. Clearly, there are many legitimate reasons to swap out a clogged air filter. Experts agree that replacing a filter enhances performance and lowers energy bills. Our service team at Taurus Mechanical can change air filters for you. Contact us to schedule a comprehensive inspection of your HVAC system today.